Better bring your Xbox One with you on vacation. If you want Microsoft to let you through the velvet of rope of its Xbox Insider programs, be prepared to earn it—and up through four different tiers of beta access, to boot. A Microsoft support post from Monday night confirms that there are now four rings of beta access within the Insider program, not one, and that applicants will literally be judged on how they participate to earn access. Only the most worthy will get to try out upgrades like the excellent Creators Update features for the Xbox One being rolled out now. The new rings of Xbox Insiders include the highest-priority ring, Alpha, followed by Beta, Ring 3, and Ring 4. Microsoft’s description of the new program utilized both the velvet glove as well as the iron fist: Users were concerned with the frequent updates that Microsoft pushed to Insiders, so the new tiers offer users a way to match the availability of new beta experiences to what users prefer. There’s a catch, naturally: If you to advance through the ranks, so to speak,you’d better actually use the new software, test it, and provide enough feedback to justify including you. And if you take a break, sorry—your Xbox could drop to a lesser-priority ring while you relax on the beach. Why this matters: This is an enormous change to the way Microsoft treats its Insiders, allowing the true believers better access. There’s no indication that those fans will receive any news or information early, but it certainly allows those with an extra box or a real lust to be rewarded for their loyalty. It's too early to tell, though, how Xbox Insiders will respond. Another question hanging in the air: Will Microsoft set up a similar program for Windows Insiders? 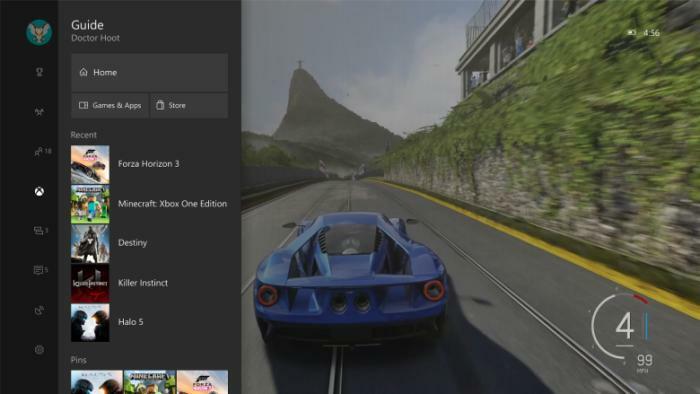 The new Creators Update for the Xbox One includes a new Guide, which Insiders have already. • Xbox One Update Preview Beta – The second Preview ring will receive just one to two updates per week, with slightly less risk of encountering bugs. 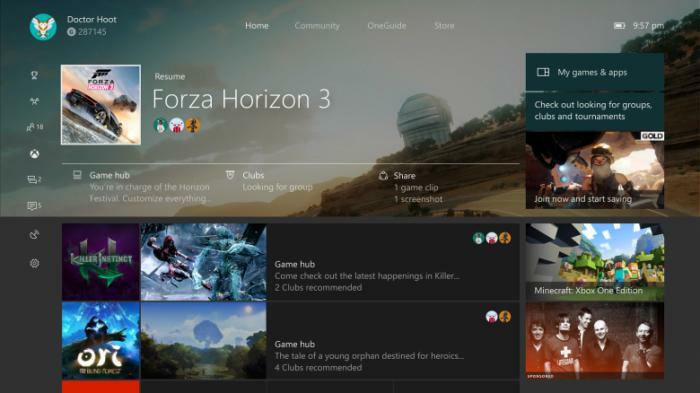 • Xbox One Update Preview Ring 3 – The third Preview ring will receive about two to three updates per month, with system updates arriving even less frequently. • Xbox One Update Preview Ring 4 – The fourth and final Preview ring typically receives new system updates about once per month. These builds are just about ready for public release, so will be the least buggy. Upgrades like Clubs have rolled out to Insiders first. Naturally, the way in which users advance and fall back through the rings is the most interesting aspect of the whole program. To confirm their ring ranking, Xbox One owners can open the Xbox Insider Hub on the Xbox One and check the System tab. That tab will also allow users to apply for upper-echelon rings, but only if their participation has potentially qualified them. If they're nowhere near worthy, that option won’t appear. 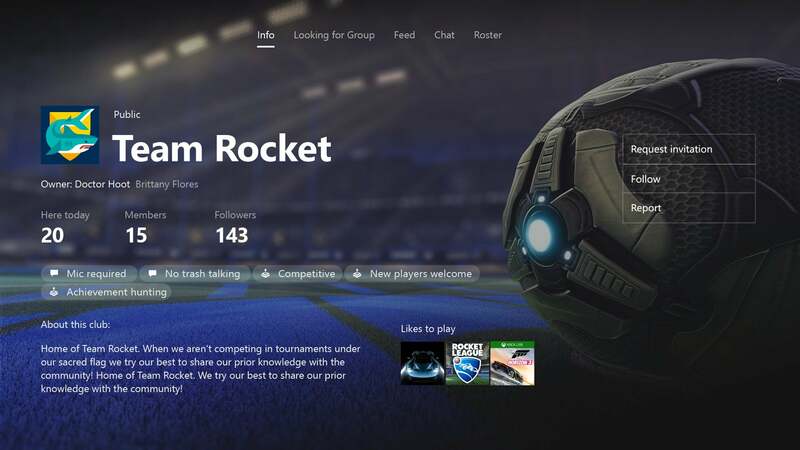 “Xbox Insiders earn the right to participate in the respective Preview rings based on their activity, which is judged by Xbox Insider XP, forum activity, and overall console usage,” Microsoft’s post says. Users can move up through the four rings by completing quests, surveys, quick polls, and ratings within the Hub app; participating in games and betas, providing feedback via the official forums; reporting bugs, and simply using the console. The three top-tier rings have limited capacity, according to Microsoft. The company said it will review each user’s status regularly and invite them to join a higher tier via a system message. Naturally, users can also fall from grace. If your account drops significantly due to inactivity, you’ll be bounced to Ring 4, the lowest-tier ring, and be forced to work your way back up. Ring 4 is as far as you’ll fall, though, unless you voluntarily opt out of the Xbox Insider program entirely. Thoughts? Microsoft knows this is a big change and wants your feedback. Presumably, posting in the support thread could boost your Insider standing as well.